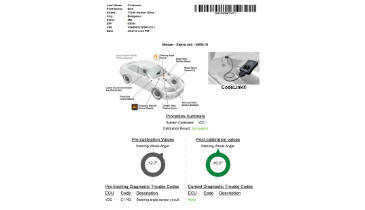 Over 50 million vehicles require steering angle sensor reset and Codelink® is the answer. 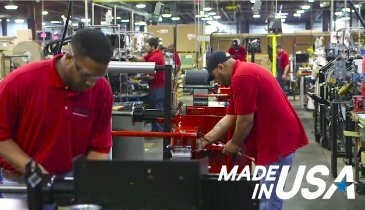 CodeLink® is the new last step in alignment services. 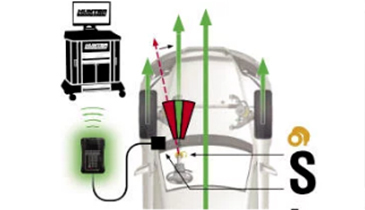 Hunter Engineering’s simple, solution links a vehicle’s OBD-II system to the aligner to measure steering angle sensors positioning and reset the sensor referenced to a vehicle’s alignment geometry. 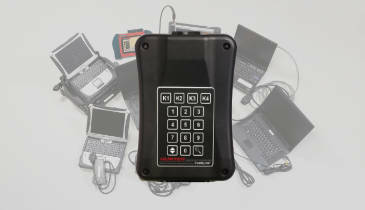 No other steering angle sensor reset tool matches CodeLink’s patented integration with the alignment procedure. 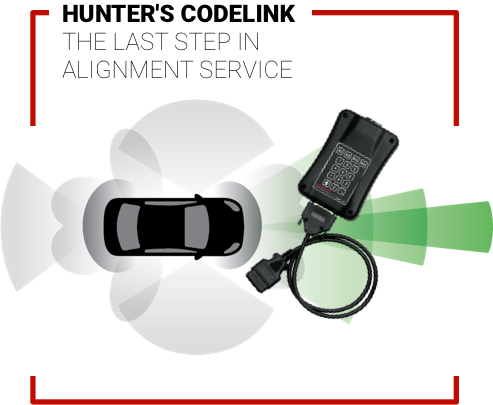 With Hunter’s CodeLink® tool you can reset steering angle sensors without expensive scan tools. CodeLink’s patented integration “links” the vehicle OBD-II system to the aligner to measure SAS position and reset the sensor referenced to the vehicle’s alignment geometry. Printed documentation confirms that steering system reset was completed properly.